For the PRI Senator from Veracruz, see José Yunes Zorrilla. This name uses Spanish naming customs: the first or paternal family name is Zorrilla and the second or maternal family name is Moral. José Zorrilla y Moral (Spanish pronunciation: [xoˈse θoˈriʎa]; 21 February 1817 – 23 January 1893) was a Spanish Romantic poet and dramatist. Moral was born in Valladolid to a magistrate in whom Ferdinand VII placed special confidence. He was educated by the Jesuits at the Real Seminario de Nobles in Madrid, wrote verses when he was twelve, became an enthusiastic admirer of Walter Scott and Chateaubriand, and took part in the school performances of plays by Lope de Vega and Calderón de la Barca. In 1833 he was sent to study law at the University of Toledo, but after a year of idleness, he fled to Madrid, where he horrified the friends of his absolutist father by making violent speeches and by founding a newspaper which was promptly suppressed by the government. He narrowly escaped transportation to the Philippines, and passed the next few years in poverty. The death of the satirist Mariano José de Larra brought Zorrilla into notice. His elegiac poem, read at Larra's funeral in February 1837, introduced him to the leading men of letters. In 1837 he published a book of verses, mostly imitations of Alphonse de Lamartine and Victor Hugo, which was so favourably received that he printed six more volumes within three years. 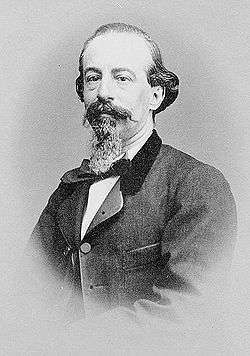 After collaborating with Antonio García Gutiérrez on the play Juán Dondolo (1839) Zorrilla began his individual career as a dramatist with Cada cual con su razón (1840), and during the next five years he wrote twenty-two plays, many of them extremely successful. His Cantos del trovador (1841), a collection of national legends written in verse, made Zorilla second only to José de Espronceda in popular esteem. National legends also supply the themes of his dramas, which Zorilla often constructed by adapting older plays that had fallen out of fashion. For example, in El Zapatero y el Rey he recasts El montanés Juan Pascual by Juan de la Hoz y Mota; in La mejor Talon la espada he borrows from Agustín Moreto y Cavana's Travesuras del estudiante Pa-atoja. His famous play Don Juan Tenorio is a combination of elements from Tirso de Molina's Burlador de Sevilla and from Alexandre Dumas, père's Don Juan de Marana (which itself derives from Les Âmes du purgatoire by Prosper Mérimée). However, plays like Sancho García, El Rey loco, and El Alcalde Ronquillo are much more original. He considered his last play, Traidor, inconfeso y mártir (1845) his best play. Upon the death of his mother in 1847 Zorrilla left Spain, resided for a while at Bordeaux, and settled in Paris, where his incomplete poem Granada was published in 1852. In a fit of depression, he emigrated to America three years later, hoping, he claimed, that yellow fever or smallpox would kill him. During eleven years in Mexico he wrote very little. He returned to Spain in 1866, to find himself half-forgotten and considered old-fashioned. Friends helped Zorilla obtain a small post, but the republican minister later abolished it. He was always poor, especially for the 12 years after 1871. The publication of his autobiography, Recuerdos del tiempo viejo in 1880, did nothing to alleviate his poverty. Though his plays were still being performed, he received no money from them. Finally, in his old age, critics began to reappraise his work, and brought him new fame. He received a pension of 30,000 reales, a gold medal of honor from the Spanish Academy, and, in 1889, the title of National Laureate. He died in Madrid on 23 January 1893. In his early years, Zorrilla was known as an extraordinarily fast writer. He claimed he wrote El Caballo del Rey Don Sancho in three weeks, and that he put together El Puñal del Godo in two days. This may account for some of the technical faults—redundancy and verbosity—in his works. His plays often appeal to Spanish patriotic pride, and actors and audiences have enjoyed his effective dramaturgy. Don Juan Tenorio is his best-known work. 1 2 3 4 5 6 One or more of the preceding sentences incorporates text from a publication now in the public domain: Chisholm, Hugh, ed. (1911). "Zorrilla y Moral, José". Encyclopædia Britannica. 28 (11th ed.). Cambridge University Press. pp. 1043–1044. 1 2 3 Chisholm 1911. Wikimedia Commons has media related to José Zorrilla y Moral.